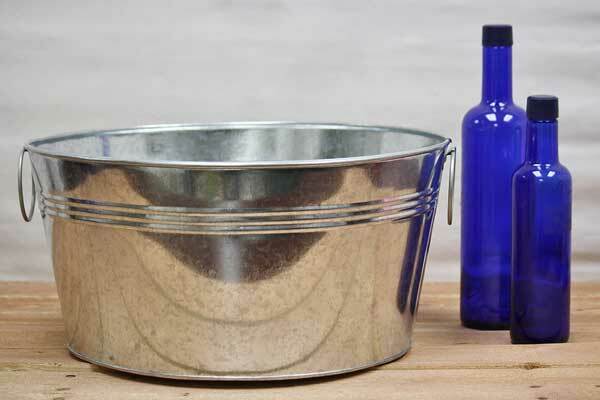 This large, deep metal tub is perfect for storing tennis balls, baseballs, and other outdoor toys in while adding a bit of rustic flair to your home. It can also be filled with ice and lots of drinks for your next tailgate or cookout. We also offer a shallower version to best suit your needs.